The Atlanta Jazz Festival brings a national and international who’s who of the art form to Piedmont Park for an amazing free concert every Memorial Day Weekend. With so many incredible artists, we decided we couldn’t pick just one, so this week, look out for two Kool Kats. Nadav Remez. Photo credit: Dana Merison. 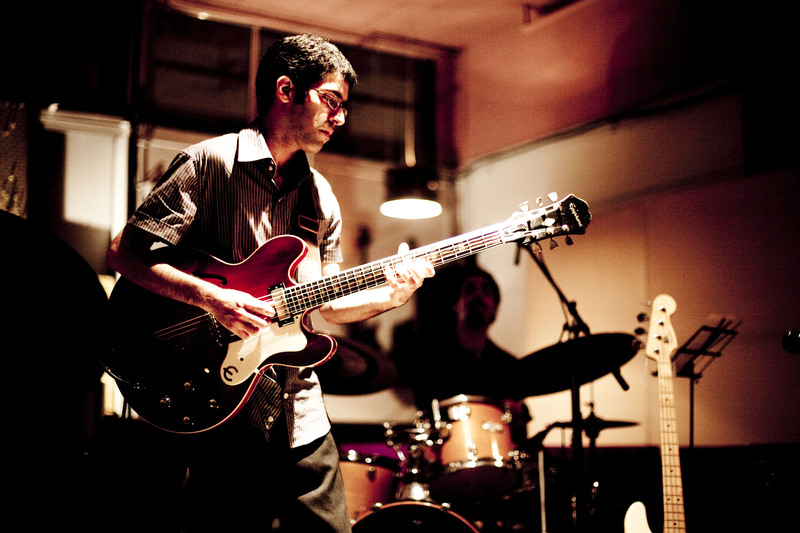 The first is guitarist Nadav Remez. He’ll be playing Sunday, May 27 at 6:30 pm. Lauded as one of today’s top emerging jazz voices, he grew up in Israel, scored a full scholarship to attend the prestigious Berklee College of Music in Boston, also studied at the New England Conservatory and now resides in New York. Last year he released his debut CD, SO FAR. 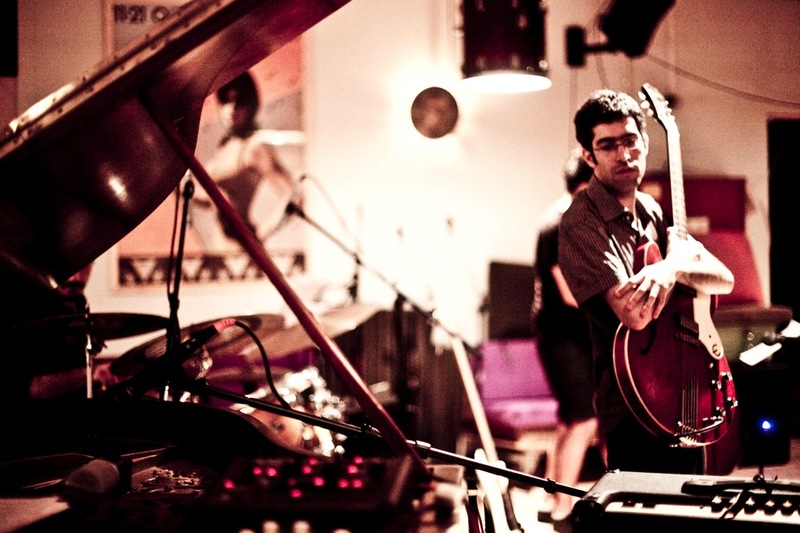 As for his music, it has been called “haunting” and reflects the versatility of jazz as an art form merging modern jazz, alternative rock and traditional Israeli folk music. You have a really interesting background having grown up in Israel and had your first music education there. How did that shape your approach to jazz? I grew up in the Tel Aviv area and into a situation that resembles many other places in the Western world in the ‘90s. I listened to a lot of pop music, British and American. We had MTV Europe, which was different from MTV in America because it actually played a lot of music, not just reality shows. So when I was a teenager, my musical inclination was very pop-oriented. However, in Israel, international pop was just one channel feeding us musically. We also got some other types of music, what we call mizrahi music which is our folk pop music, popular Middle Eastern music. So we grew up listening on the radio here to one song from the UK Top 40 and then the next song would be Middle Eastern. As time went by, from the ‘90s into the 2000s with the Internet, more people [in Israel] were exposed to different kinds of music, and musicians started mixing these kinds of music together. If you turn on the radio today, you find our pop has a lot of Middle Eastern elements. Then I went to Thelma Yellin High School of the Arts, a famous art high school with a jazz major that produced many famous Israeli jazz artists. That’s where I first heard about jazz, and it was very exciting experience. I was woken up to a new reality. Jazz was a music that’s not just something around you, not just something that you played coincidentally but something very serious and very deep. That’s when jazz came into place for me, into my world. I was lucky to have many teachers dedicated to jazz as an art form, who really taught me a lot about what the music means—teachers who had lived in the US in New York. So they brought their love of jazz over toIsraeland to many of my peers. Who are your favorite classic Retro jazz musicians and why? For me, going into high school, I was so shocked by this new thing in my life called jazz. I just wanted to explore it all around, but my teachers told me that in mu first years of listening to jazz, I should be listening to jazz from the first half of the 20th century up to the ‘60s. That’s when a lot of the innovations in jazz were taking place—Charlie Parker in the ‘30s and ‘40s, John Coltrane in the ‘50s and ‘60s, Miles Davis, Louis Armstrong, etc. I was focusing a lot on bebop, hard bop and post bop, styles that emerged in the early ‘40s to mid ‘60s. With jazz in those days, it really was about listening to different musicians but whoever I was listening to, they stood out as geniuses because they all were. That being said, I was very much into Coltrane. He and Charlie Parker are like the gods of that era. There are no rules but I’d say to someone who is an aspiring jazz musician in their teens, before you go to newer music, you should check out the roots because that’s where the music comes from. Your approach is very eclectic and innovative, blending Eastern and Western sounds. Can you talk a little about how you developed your unique style and sound? That all started when I was at the Berklee College of Music in Boston about five to seven years ago. I and a group of other Israeli musicians started to experiment with long improvisation forms that came from jazz and added Middle Eastern aesthetics to it. That’s where our ears pulled to naturally. After I started playing with it, I also started writing my own music and thinking about my first album, SO FAR. At this time, I was trying to absorb what was around me. Jazz musicians stay close to their roots. So I started to listen to more Middle Eastern music and trying to apply those concepts and ideas into my jazz, and also rock and pop, mainly ‘90s sounds. Radiohead was a very big influence. Your Atlanta performance is with a special project, right? Yes, the Nadav Remez/Omer Avital Quintet. It brings together songs that I wrote and songs that Omer Avital wrote. He’s a very important figure in jazz right now and a bass player with many albums behind him, both as a leader and a sideman – currently with Yemen Blues and Third World Love. This [performance] will be a combination of tunes by me and tunes by him. Like all music, it’s in a way both similar and different because we both grow up inIsraelin similar settings. But he’s older than me—he’s 40 now—so he has other Israeli influences from when he was growing up. Even though one could hear both the pop/rock influences, as well as the mizrahi influences, in both our musics, Omer’s music leans more towards the mizrahi, while my music leans a little bit more towards rock. 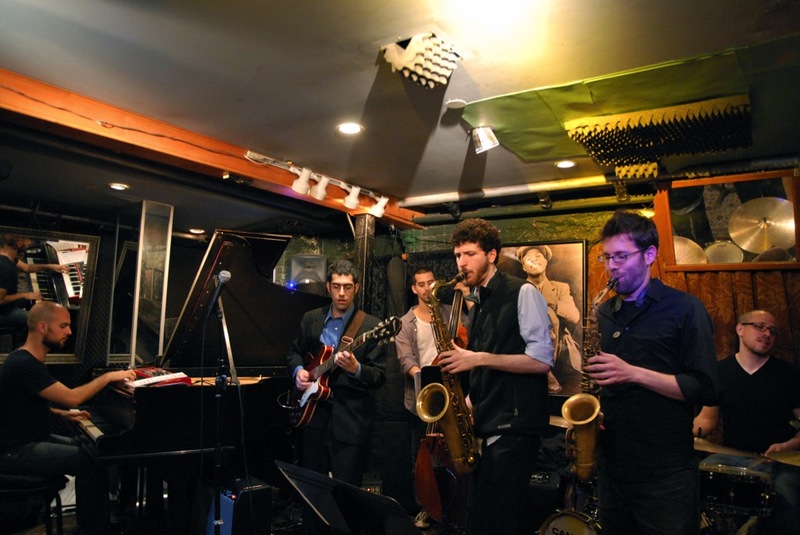 The quintet also includes Greg Tardy [tenor saxophone], Jason Lindner [piano and keyboards] and Yoni Halevy [drums]. It’s a high profile line-up which I am very excited to perform with. Playing Smalls in NYC. Photo credit: Dana Morgan. If we go to New York, where should we go to listen to some great jazz? Personally I like going to places like Smalls, Village Vanguard and Fat Cat. But these days in New York, you can hear great music all over the city, not only in Manhattan. There is a vibrant scene in Brooklyn as well. All you have to do is pick up a newspaper and see what’s going on tonight or look online. I recently found an iPhone app called NY Jazz, that displays a comprehensive list of jazz shows as far as a month in advance. The New York scene is very alive with contemporary jazz, cutting edge jazz and also traditional jazz—which also is cutting edge. You just said traditional jazz is cutting edge. What do you mean? Because jazz is a music of the moment. Even if you play with the traditional language from the ‘50s and ‘60s, you can still have lot to say and make very strong statements. [Omer and I] have a few more shows [together]. In June and July, we have a residency in Smalls Jazz Club in New York with Omer’s new band called Band of the East, and then there are several other projects in 2012 that are going to involve us playing and performing together. With my own group, I will be travelling in July to Germany to play at the Palataia Jazz Festival and plan to perform in Israel in August and September.